In addition to the development of our own services, RoboForex group is actively involved in many innovative projects, which are not always closely connected with the Forex market. Using the most modern, maximum effective technological and software solutions in our everyday work, the RoboForex staff understands the importance of supporting and developing new approaches, which may help the progress to develop to a new level. This is the main reason why RoboForex is trying to be a sponsor of different events on a regular basis, and we’re committed to following in this direction in the future. RoboForex group is the official sponsor of a successful Muay Thai fighter and trainer from Belarus, Andrei Kulebin. Kulebin has won more than 200 fights; he is a many-time Thai boxing world champion and an Honored Master of Sports, and shows no signs of letting up. RoboForex group has become the official sponsor of "Starikovich-Heskes Team", the Cypriot race team at The Dakar 2017. The team’s pilot, Roman Starikovich, is an experienced racer with more than 60,000 off road kilometers in Europe, Africa, and Australia under his belt. 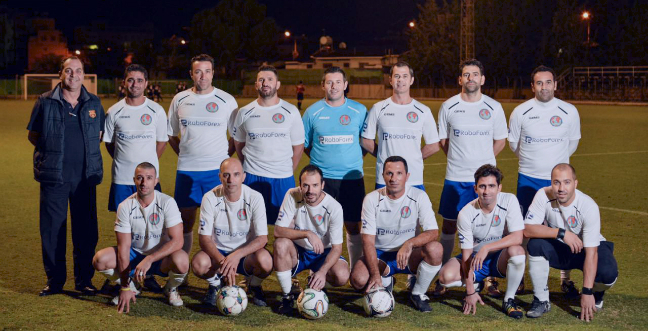 RoboForex group is the official sponsor of the Limassol Police Department football team. Cooperation with the Police Department is another sign that the Company’s activity is completely transparent and that RoboForex is striving to operate honestly and legally in all spheres of the modern society.